It's All About the Food - My Top 5 Recipe Web Sites! As an avid cook and a busy working mom, I am always looking for delicious foods that are easy and quick to prepare. I don’t have time to go through food magazines or cookbooks, so the Internet comes to my rescue! Ever since I discovered all the endless opportunities, the number of recipes online, and the ease of finding simple recipes based on the ingredients available in my house, I became a huge fan of recipe websites. My all time favorite! 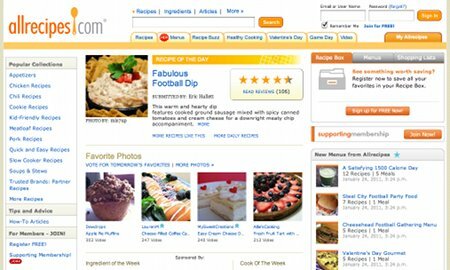 AllRecipes.com is my number one source for recipe-finding. The best feature is "search by ingredients." It lets you find recipes based on the ingredients you have available in your pantry. Also, it lets you specify what you DON’T want. So, if you need a gluten-free recipe, you can exclude flour if you wish. Every recipe is rated, and the reviews are always on the spot. So far, I have never had a disappointment. Every dish I have made from this site has been a success! My next favorite is MarthaStewart.com. I am big fan of Martha (well, her recipes anyway). They are always accurate and successful. Her website is well-organized and a pleasure to browse. Every recipe comes with a mouth-watering photo. The photos are professionally done, and I am sometimes almost tempted to bite my screen. The flavors and textures just scream out! You can get tons of ideas for menus, parties, and everyday cooking. 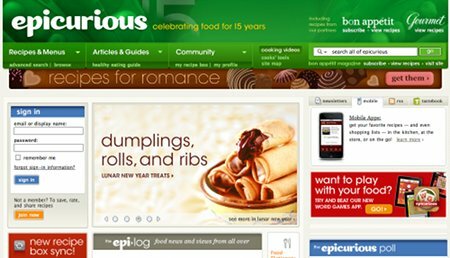 Another well-designed recipe site is Epicurious.com. Here you can find a community of food lovers that shares recipes, advice, and enthusiasm. You can as well share your video recipes and watch other members' video recipes. There is a great amount of interaction on the site, and beginner cooks can find plenty of support and help here. 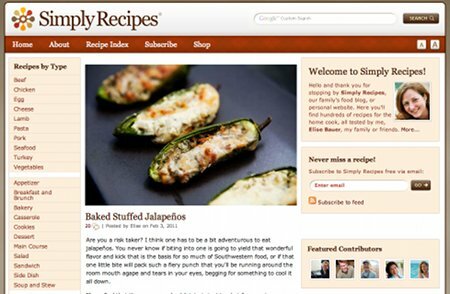 Here is a site that is more like a blog: SimplyRecipes.com. The layout mimics a blog with additional details about the food. If you like learning stories behind recipes, this one is for you! This site is family-owned and gives a cozy, homey feeling. It gives you step-by-step instructions with stunning photos, and you are treated like a family member here! 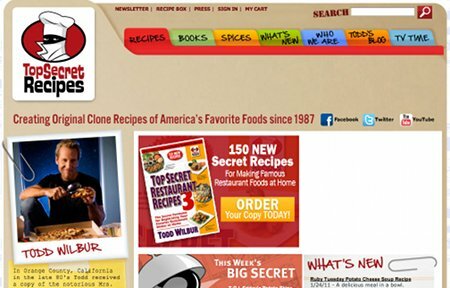 Last but not least, TopSecretRecipes.com. If you still crave junk food and eating out, try making the Big Mac Sandwich by McDonald’s accompanied by the 7 Eleven Cherry Slurpee - at home! This website reveals top secret recipes from the finest eateries in the U.S.! Best of all, you can make them in your own kitchen! Coca Cola beware - I know your secret recipe for Classic Coca Cola! 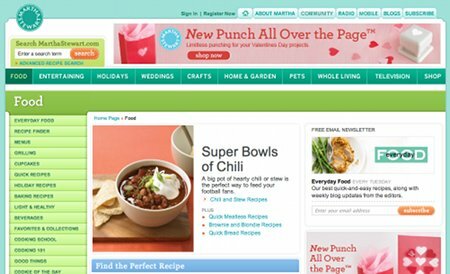 Have any favorite recipe websites you frequent?